Caron & Bletzer, PLLC specializes in employee benefit plan audits and consulting in the ERISA area. The firm has concentrated its practice in ERISA since its founding in 1993. The firm provides services to ERISA clients throughout the country with our base concentrated on the east coast. We have one of the largest employee benefit plan audit practices in the country, based on figures released by the U.S Department of Labor (DOL). We are one of only a few firms nationally that concentrate their audit practice exclusively on employee benefit plans. Caron & Bletzer is a member of the AICPA Employee Benefit Plan Audit Quality Center (EBPAQC) and the Public Company Accounting Oversight Board (PCAOB). We are also members of the AICPA's Center for Audit Quality (serving investors, public company auditors, and the markets), and Private Company Practice Section and Tax Section. In addition to employee benefit plan audits, the firm offers robust tax planning and compliance services for both individuals and businesses. As a firm, we are committed to quality. Our goal is to excel in the delivery of services within our specialty area. We undergo peer review by another EBPAQC member firm on a regular basis to ensure that our accounting and auditing practice meets all professional standards. We have received an unqualified opinion with no letter of comments for each peer review conducted since our inception. We are subject to review by the PCAOB for the services we provide to employee benefit plans that file Form 11-K with the SEC. In 2016, C&B received a clean inspection report from the PCAOB with no comments. We are proud of this tangible evidence that our pursuit of excellence has paid off. Catherine (Katie) E. Caron founded the firm in 1993. 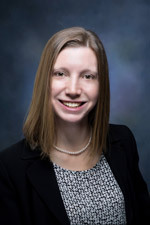 She holds CPA certificates in New Hampshire, Massachusetts and Connecticut, and earned a Master of Science in Taxation from Bentley College. She has extensive experience in the employee benefits area and in tax planning and compliance, as well as general business advising in many industries. Prior to founding the firm, she was a tax specialist with Coopers & Lybrand, LLP (now PricewaterhouseCoopers, LLP). Katie is a current member of the Northeast Pension Liaison Group, an invitation-only group of government officials and pension industry representatives that helps formulate employee benefit pension plan policy recommendations. She is also a past member of the New Hampshire Society of CPA's Board of Directors and past chairperson of the Society's Tax Committee. She continues to be an active member of the New Hampshire and Massachusetts CPA societies, as well as the AICPA. Katie currently sits on the Board of Directors, Finance Committee, and Development Committee of the Cornelia de Lange Syndrome Foundation. 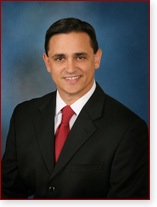 John C. Bletzer is the Partner in Charge of the Employee Benefit Assurance Practice and Quality Control for the firm. He is a licensed CPA in all six New England states, New York, New Jersey, Pennsylvania, Maryland, Virginia, Florida, Georgia and Washington, D.C. With over 25 years of experience, John has concentrated his practice on the audits of employee benefit plans for over 15 years. John has developed expertise in auditing and consulting for defined benefit retirement plans, defined contribution retirement plans, including employee stock ownership plans and plans required to file Form 11-K with the SEC, and health and welfare benefit plans. John speaks regularly on a variety of topics, including industry best practices regarding employee benefit plans. John joined the firm in 1999 after several years in private industry, prior to which he was an audit manager at PricewaterhouseCoopers. John is an active member of the New Hampshire and Massachusetts CPA Societies, as well as the AICPA. John received a Bachelor of Science in Business Administration from the University of New Hampshire. Jeff J. Polchlopek joined the firm in 2000 with a primary focus on employee benefit plan audits. His practice has a particular emphasis in the areas of 11-K filings, defined benefit pension plans, multiple employer plans and employee stock ownership plan audits. Prior to joining the firm, Jeff spent four years in private industry. His focus while in the private sector was in the retirement industry, working at Scudder Kemper Investments. Jeff holds a CPA certificate in New Hampshire, Connecticut, Florida, Indiana, Maine, Rhode Island, and Vermont. 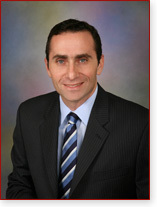 He is a member of the AICPA and the New Hampshire and Massachusetts CPA societies. He is very active in local youth sports as a coach. 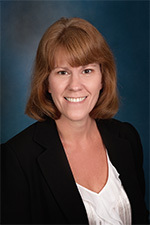 Ann T. Driscoll is a New Hampshire CPA with over 25 years of audit experience. She joined the Firm in 1999 and practices exclusively in the area of employee benefit audits, including the audits of funded medical plans, defined contribution retirement plans, and defined benefit retirement plans. Previously, Ann was an audit manager at Coopers & Lybrand, LLP (now PricewaterhouseCoopers, LLP) and spent several years in the private sector focusing on healthcare. 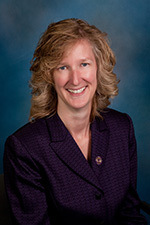 Ann is a member of the AICPA and the New Hampshire Society of CPA's. She is a lifelong runner and recent marathoner. Marcia D. Baker is a New Hampshire CPA with over 10 years of experience. She holds a Master of Science in Accounting from the University of New Hampshire and is a member of the AICPA and New Hampshire Society of CPA's. Marcia focuses her practice exclusively on employee benefit plan audits including the audits of employee stock ownership plans, medical plans and plans required to file with the SEC. Additionally, Marcia oversees the firm's staff development program looking to both internal and external resources to enhance the knowledge of our team. She is an avid skier and cyclist.